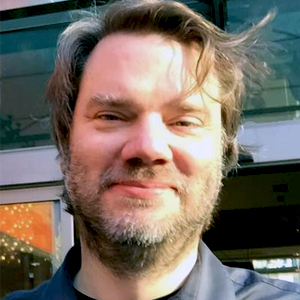 Chet Faliszek is currently the creative director at Bossa Studios working on an unannounced title. Previously he worked 12 years at Valve where he was co-project lead on the Left 4 Dead series and a writer on numerous franchises including the Half-life, Portal, and Team Fortress. He spent the last three years at Valve working with outside developers and platforms to help launch Steam VR. Besides his duties at Bossa, he also continues to work with independent developers focusing on Virtual Reality. And yes, he also thinks Erik Wolpaw is the funnier of the two.